The second of those seems to produce more realistic numbers. 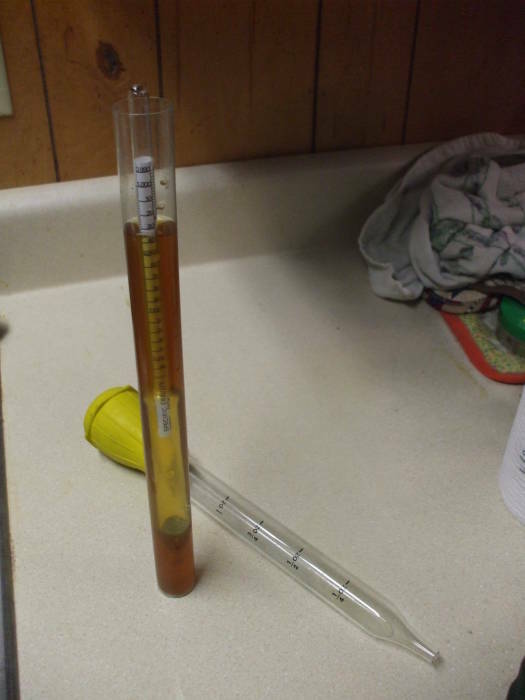 Measuring specific gravity with a hydrometer. The density of dextrose is 0.62 grams/cm3. This is from the powderandbulk.com reference site.